Firefox 59 stable has been released and is available for download and installation. 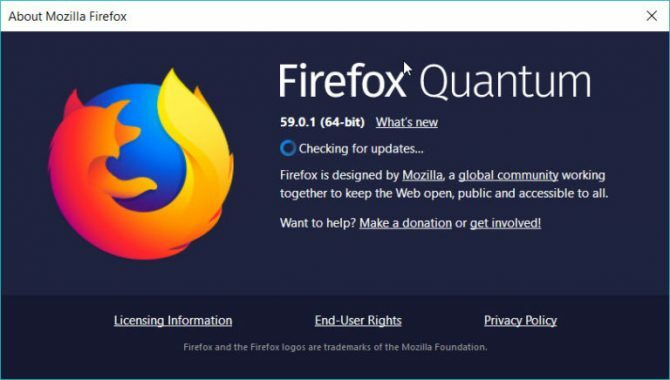 We will share Firefox 59 offline installers in this article but first we’ll see what changes have been made to the browser. Mozilla is working on Firefox speed and performance from Firefox 57. Firefox 59 also sports more performance improvements as compared to Firefox 58. Let’s go through the change log of Firefox 59 first. Firefox 59 sports faster load times as compared to Firefox 58. There were a lot of issues users faced in Firefox 57 and 58 about slow TLS handshakes which are running fine in the latest release. Off-Main-Thread Painting (OMTP) has been introduced to Mac users. This feature is available to Windows users from Firefox 58. This will give better rendering of graphics in the browser. There are some reports of hardware acceleration breaking the rendering capabilities. Disabling hardware acceleration would be the best you can do at the moment. There has been a privacy issue about browser notifications. Browser notifications are on a rise which dig deep into user privacy. Firefox 59 adds a new setting in about:preferences to stop websites from asking to send notifications or access your device camera, microphone or location. You can also white-list some websites which will be allowed to use these features. Now you can use drag-and-drop to rearrange Top Sites on the Firefox Home page and new tab page. This will give more personalization to the user. The screenshot feature of Firefox 59 has also been improved. Now you can draw and highlight parts of the saved screenshots. You can also re-crop to change the view-able area of saved screenshot. There are some issues which haven’t been addressed yet. 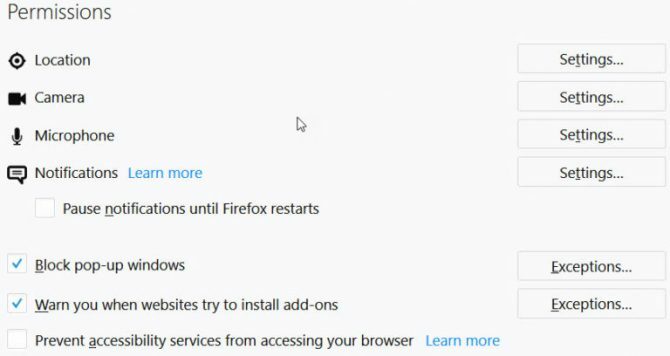 Windows 7 users using accessibility services (like the Windows On-Screen Keyboard) may see browser crashes after the update to Firefox 59. Fore more details of what has been changed in Firefox 59, please visit here. While I was writing this article, Mozilla has already released a security release of Firefox 59.0.1. I’m giving the download links to Firefox 59.0.1 as it is the latest release at the moment. If you encounter any issues, we would appreciate if you can talk to us through comments on this article.